Rayne Plumbing and Sewer Service, Inc. They're reliable and they show up on time. They're good with scheduling and they follow the schedule. Some places say they will come and then they don't show up. They have the right people for the job. They don't have to send someone over or under qualified to do the job. They were prompt, they always took my calls, appointments were fairly quick to schedule, and all the people I dealt with were nice, both on the phone and the techs that came out to the house. I've had them do plumbing, and also gas lines, they do really good work on both of those, I was really satisfied. They were reliable and fast. Good service, they stuck to the job until it was done and they were prompt. 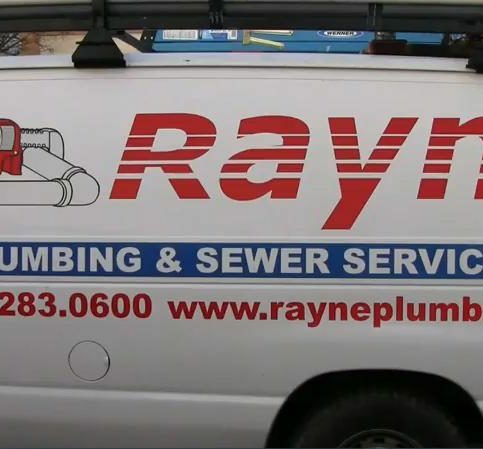 Rayne Plumbing and Sewer Service, Inc. has been providing plumbing service work for Bay Area residents for more than 50 years. 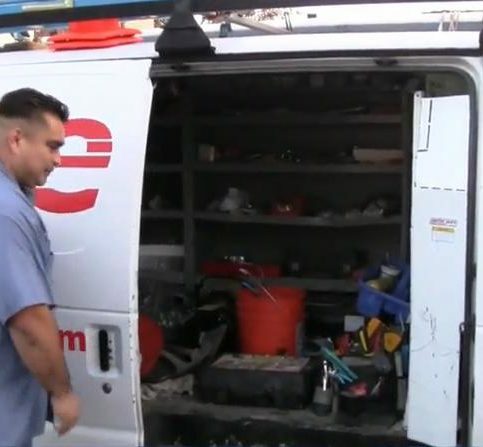 The company is available 24/7 and is adept at handling both emergency service work and a wide range of water and sewer issues, including kitchen sink and toilet stoppages; complete plumbing fixture, pipe and gas line replacements; backflow valve testing; water heater and boiler replacements; property line clean-outs; and more. It also offers complete tenement improvement services and works actively with retail chain accounts and government agencies. Rayne Plumbing and Sewer Service is known for its patented Scalemaster machine, which removes mineral deposits (scale) that build up in Bay Area plumbing systems and restrict water flow. The Scalemaster achieves its goals without using chemicals; instead, it creates oscillating mechanical waves and sound waves that rapidly burst through water and dissolve obstructing scale that’s attached to pipe walls. President Steve Ionis invites potential customers to visit www.rayneplumbing.com to learn more. DIAMOND CERTIFIED RESEARCHED CAPABILITIES ON Rayne Plumbing and Sewer Service, Inc.
Company Name: Rayne Plumbing and Sewer Service, Inc.
DIAMOND CERTIFIED RESEARCHED ARTICLES ON Rayne Plumbing and Sewer Service, Inc.
Rayne Plumbing and Sewer Service’s technicians are diligent and reliable. 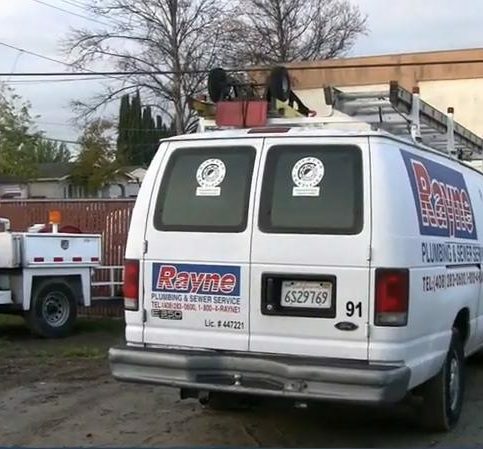 Rayne Plumbing and Sewer Service has been providing general plumbing services for Bay Area residents since 1964. 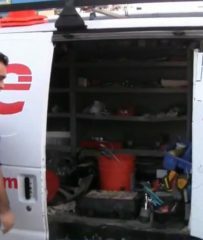 The company is adept at handling both emergency service work and a wide range of water and sewer issues, including sink and toilet stoppages; complete plumbing fixture, pipe and gas line replacements; backflow valve testing; water heater and boiler replacements; property line clean-outs; and more. Choose soaps carefully. Dishwashing detergents loosen grease and food particles from dishes, which can then cling to drains and harden. Likewise, many soaps, shampoos, shaving creams and lotions also contain waxes and oil, which can trap hair and particles in bathroom sinks and shower drains. Try limiting your use of these products and choose environmentally-friendly soaps with lower concentrations of wax and oil. Regularly check for clogs. Pour boiling, soapy water down your drains on a weekly basis to clear out grease and waste build-up. Every three months, mix two cups of baking soda and one cup of vinegar down each sink drain. Wait 30 minutes and clear out the solution with boiling water. Flushing your pipes by filling all sinks and bathtubs with warm water and pulling the drain plugs simultaneously once a month (once a week for pipes that clog easily) can also help flush out possible clogs. Q: How much do you charge for plumbing work? A: Our fees are based on the time we spend on the job and the materials we use. A lot of plumbing companies have changed their pricing structures to a flat rate, but that’s designed for plumbers who work for commissions, and it can make homeowners feel pressured to buy items and services they don’t really want. We never sell on a commission basis. We’ll give you an estimate for the hourly rate and cost of equipment so you know what to expect in terms of cost. Q: Will you keep my house clean while you’re working? A: Yes. Our plumbers work carefully and clean up after themselves without being told. They carry tarps, wear rubber booties to prevent soiling floors and take every precaution to respect each customer’s home as if it was their own. Q: What do you recommend if I have roots in my sewer line? A: First, we need to get a camera into the sewer line. Once we detect where the roots are penetrating the sewer line, we can provide you with an estimate to excavate down and remove the roots. That’s the easiest and most permanent method, but we can give you other options as well. Q: My water heater pilot light just extinguished. Do I need to worry about gas entering my house? A: No. In order for the gas valve to stay open, there has to be heat between the pilot and the valve. If the pilot is extinguished, the thermocoupler (the device that connects the pilot and valve) is cold and doesn’t allow electricity to flow through it. When that happens, the valve shuts off automatically. 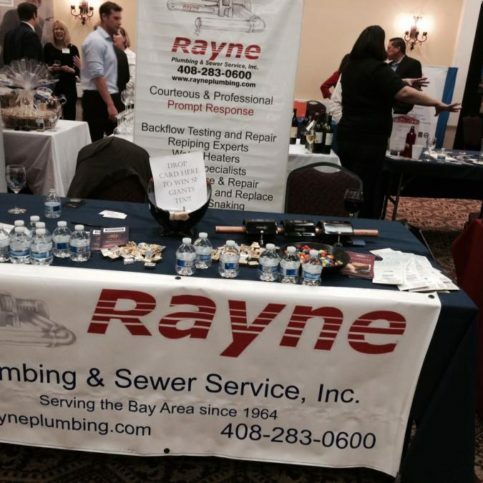 SELECTED PHOTOS FROM Rayne Plumbing and Sewer Service, Inc. 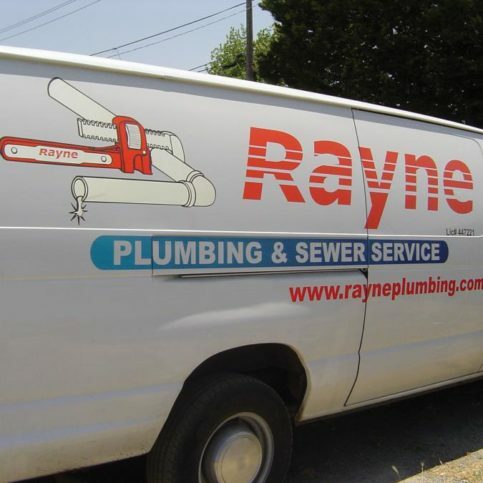 This Rayne Plumbing and Sewer Service van is ready for a service call. Rayne Plumbing and Sewer Service recently installed this water heater. Yussef Nesme is marketing director of Rayne Plumbing and Sewer Service, Inc., a Diamond Certified company since 2004. He can be reached at408-640-6107 or by email. When he’s not working, Yussef likes engaging in a number of sports-related activities, including playing pick-up basketball, snowboarding, jet skiing and training mixed martial arts. He also enjoys spending time with his mother and sisters, as well as his dog, Capone, a 150-pound boxer-pitbull mix. A: “Simple Man” by Lynyrd Skynyrd. A: I guess I was the class clown. Q: Who’s your favorite comedic actor? Q: Which Seinfeld character do you most identify with? SAN JOSE — An important yet often overlooked aspect of water heater installation is safety code compliance. Due to the potential safety risks posed by a water heater, you should be aware of safety code requirements and make sure they’re properly implemented. One critical safety requirement is strapping. 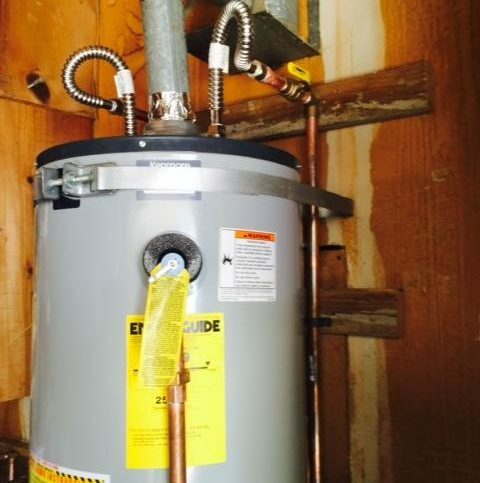 Regardless of a water heater’s location, it needs to be attached to a sturdy surface (a 2×4 connected to the wall, for example) with two metal straps: one near the top of the unit and one near the bottom, about four inches above the gas controls. When correctly installed, these straps will keep your water heater from falling over during an earthquake. Another safety requirement is keeping a drain pain beneath the water heater to catch water from leaks. If your unit is located inside your house, you’ll need to run some PVC piping from the drain pan to an outside location or crawlspace where the water can safely drain. This measure will protect your floor from water damage in the event of a leak. While not always required, it’s also a good idea to place a drain pan beneath a water heater located in the garage. If your water heater is in your garage, it’s required to be situated on a stand or elevated to a minimum height of 18 inches above the floor. The reason is simple: due to the presence of vehicles, a water heater’s gas burner represents a potential combustion hazard. If any leaked oil or fuel comes into contact with the burner, it could cause an explosion. To learn more about the water heater safety codes in your area, contact your city building department. SAN JOSE – The best way to maximize the lifespan of a water heater is with ongoing maintenance. This comes down to two primary tasks: flushing the tank and replacing the anode rod. The most basic step of water heater maintenance is annually flushing the tank by draining and refilling it. To drain the tank, turn off the gas and cold water to the unit, attach a hose to the drain valve at the bottom of the tank, and open the valve. To avoid wasting the water in the tank, run your hose out to your garden to water your plants. After water stops coming out the other end of the hose, turn off the drain valve, detach your hose, and turn the gas and cold water back on. While flushing a water heater can go a long way toward maximizing its lifespan, if yours is more than five years old and has never been flushed, it’s not a good idea. There will be so much calcium and mineral buildup in the tank that if you open the drain valve, there’s a good chance a piece of sediment will get stuck in it, at which point the valve won’t close again. A good way to prevent this from happening is to replace your water heater’s gate valve with a ball valve. Ball valves don’t usually come standard with water heaters, but they work a lot better than gate valves—even if a piece of sediment gets stuck, the ball valve will still close. The other crucial part of water heater maintenance is replacing its anode rod. An anode rod is a “sacrificial” piece of metal that absorbs all the minerals and calcium buildup in the tank. The reason it’s considered “sacrificial” is because the minerals in the water eat away at the rod instead of the tank. It’s an effective device, but after a few years, an anode rod becomes so deteriorated that it ceases to serve its purpose. By replacing your water heater’s anode rode every four to five years, you can protect your water heater tank and maximize its longevity. SAN JOSE — Host, Sarah Rutan: Prior to replacing a water heater in your home, you’ll need to be aware of safety code requirements. Today we’re in San Jose with Diamond Certified Expert Contributor Yussef Nesme of Rayne Plumbing and Sewer Service to learn more. Diamond Certified Expert Contributor, Yussef Nesme: So, it’s often that we get asked by homeowners, “I’m replacing my water heater. Do I need to pull a permit?” The answer is, “Yes.” They recommend that you pull a permit any time you touch a water heater, even if it’s just removing it for a little bit, and then putting it back in. But if it’s a new one, the cities do want you to pull a permit. The cost depends on the city, but it’s usually under $200. Sometimes it’s a little bit more, depending on your city, again. Something you would want to inquire with them. But one thing I want to go over, too, is code. Whether you get a permit, or you don’t get a permit, you should know about the code because whether you’re going to sell your home, or for your own safety, it’s stuff that you need to know about. First, we’re going to go over strapping, which I think is the most important. Your water heater needs to be strapped. It doesn’t matter where it is. It needs to be strapped in case of an earthquake. These are what the straps look like. And the way you’re going to want to put the straps on is you’re going to put one on top. And it’s got to be nine inches below the water heater. So, no, maybe that’s a little too much. That’s about nine inches right there. And you’re going to want to strap it to something behind, so, it could be – . And, again, the city, it depends on the city, but you would want to strap it to something where it’s either a 2’ x 4’ connected to the wall. Sometimes there’s not really, like, a flat surface in the back. What they really want you to do is make sure that the water heater cannot move left to right. So, like I said, you might want to have to put 2’ x 4’s back there. Or a lot of the times they recommend that you do plumber’s tape to anchor it to a different part of the wall to where it’s steady and it’s not going to move left and right, should an earthquake happen. And then the bottom strap needs to be about 4 inches above the gas controls, right here. And that is going to be code. And so, you would strap both of them to something in the back. And sometimes it could get tricky, depending on where the water heater is placed. But at all times the water heater does need to be strapped. The other thing that is huge with code is having a water heater pan, and draining it out. So, if it’s inside of the house, you’re going to need to have a water heater pan that goes under the water heater. You’re going to have to connect some PVC piping, and run it out to an open space to somewhere outside of your home, or into the crawlspace, or something like that. But it does need to drain out. The reason they do this is, if for whatever reason your water heater starts leaking, you’re not going to damage the inside of your house. So, that’s one thing that is a must, also, for complying with the codes. And that’s in most cities in California. Now, one thing you should keep in mind: If this is in your garage, if the water heater is in the garage, you should still have the pan. And depending on the city, they would still want you to run it out. But we recommend go ahead and run out the drain line to outside, just because a lot of people have good possessions inside of their garage. And if your water heater’s leaking, and you just have the pan, and it doesn’t have any piping draining out, all the water’s just going to spill out, and your garage is going to be full of water. So, we recommend doing it. It’s really inexpensive to do, and it’s fairly easy to do as well. But these two things are musts. The other thing is, if your water heater is in a garage, it is mandatory to have a water heater stand. So, the water heater stands you could get at, you know, most supply houses and stuff like that. And the reason that they want it elevated is because of emissions. There’s a gas opening right here. And they worry that with the gas, the emissions from the car, that it could combust and it could blow up your water heater. So, that’s the reason that they want it on a stand. And that is also water heater code for most cities in the Bay Area. SAN JOSE – Host, Sarah Rutan: Like most home appliances, a water heater needs to be regularly maintained, but in the case of an older unit, it may not be such a good idea. Today we’re in San Jose with Diamond Certified Expert Contributor Yussef Nesme of Rayne Plumbing and Sewer Service to learn more. Diamond Certified Expert Contributor, Yussef Nesme: Today we’re going to be going over water heaters and how to maintain them. We often get calls from customers and friends who ask about water heater maintenance and things that they could do to go ahead and get a little bit more lifespan out of their water heater. And the tricky part is when to do the maintenance, and if it’s okay for your system to try a maintenance program. And the reason I say that is if you have your water heater for more than five or six years, we usually don’t recommend trying to do any type of maintenance. There’s probably already so much calcium buildup and so many mineral deposits in the water heater that if you tried doing some of the maintenance programs that we’re going to go over today, it might open up a can of worms. So, the first thing we’ll go over is about flushing the water heater. So, if we go down here, you’ll see there’s a drain valve. And when you flush a water heater, what you want to do is you want to attach a hose to the valve, open it up, and let the water heater drain. One thing that I do is I attach the hose and then I run the hose out to my yard, and I make sure that I, you know, water my plants, water my lawn with the water that’s in the tank. That way it doesn’t waste the water. And I do that once a year, sometimes two times a year. And any more than that is just kind of overkill. Now, one thing that I recommend, if you are going to do this, you’ve got to understand that if it’s been five or seven years, there is a good chance that there’s a lot of calcium and mineral deposits that will be coming out from there. So, if you have an older system and you try to open this up, you might get a piece of mineral deposit in the valve, where it’s not going to close again. And that’s where I said you might open a can of worms. And that’s why if it’s been five or seven years, I would just let it go. But if it’s a newer water heater, I definitely recommend attaching a hose, draining it once or twice a year. Now, another thing that I recommend is what we have here is a ball valve. A ball valve is not what comes with a standard water heater. But what we recommend is as soon as you get a new water heater, have a plumber go ahead and put one of these in. They work a lot better. And nothing is going to get stuck in there. Even if it does, the ball valve has a component, if you look inside, it’s going to go ahead and close no matter what. As opposed to a gate valve, that comes standard with a water heater, it’s often that mineral deposits or debris gets stuck inside of the valve, and all of a sudden you can’t close it. And the next thing we’re going to go over are anode rods. And not every water heater has accessibility to the anode rod. But inside every tank there’s an anode rod. What the anode rod does, it’s a sacrificial piece of metal that they put inside of the water heater in order for it to absorb all the minerals, all the calcium buildup. So, it eats away at this rod, instead of eating away at your water heater. Now, what some people do is after four or five years, they replace the rod. Because once the minerals have eaten it up so much, there’s no more that it can eat, and it’ll start eating at your tank. But if you replace this, and you put a new one in, it’s going to attract all the mineral deposits and all the calcium, and it’ll eat away at your anode rod instead of your tank. So, those are the two things that pretty much you can do to flush your water heater. There’s not really any chemicals or anything like that that you can use to flush it. We just go ahead and recommend doing a regular flush. Make sure that your water is shut off. And, yeah, that’s pretty much what we recommend doing for water heater maintenance. SAN JOSE — Host, Sarah Rutan: Hard water is a common problem and can cause damage to your plumbing system. Today we’re in San Jose with Diamond Certified Expert Contributor Yussef Nesme of Rayne Plumbing and Sewer Service to learn about a green solution to solve your hard water issue. Diamond Certified Expert Contributor, Yussef Nesme: In the Bay Area, we have a big problem with hard water, not in all regions but like in Santa Clara County where I live. The problem with hard water is it usually causes a lot of damage to your pipes, to your water heater and to your fixtures. It also gives you that rough feeling when you come out of the shower. All in all, it’s just not good to have inside of the plumbing system in your home. Many people deal with hard water now with saltwater systems that take a lot of maintenance and are usually pretty expensive so what I would like to bring to the attention of the consumers is a new system that we have that is the greenest, soft water system on the market and what it is, is a ceramic magnet system that simply is attached to your incoming water lines as such and you’ll have five of these, so you’ll put three on your incoming water line and two onto your water heater, one before and one after. The way it works is the magnets inside the system will actually break down the molecular structure of the minerals that go through your water. So, instead of sticking onto your pipe, they will actually flow through and give more longevity to your pipes, to your water heater and to your fixtures. This is the greenest system that there is and its really inexpensive, its easy to install, lifetime guarantee and no maintenance. Host, Sarah Rutan: Thank you to our Diamond Certified Expert Contributor Yussef Nesme of Rayne Plumbing and Sewer Service. I’m Sarah Rutan. SAN JOSE — If you ask Steve Ionis where he’s from originally, he’s likely to reply that there’s no such thing as “original”—an apt response from a man whose upbringing took place in various spots around the world. Steve was born in Shanghai, China, his parents having emigrated from Russia several years prior. Soon after his birth, the rise of Mao Zedong compelled them to relocate to the recently formed state of Israel, where the family resided for six years before moving again, this time to Tokyo, Japan. After he graduated high school, Steve spent three years in the Israeli army, following which he briefly attended college in Boston before moving to Canada to work for his father. Eventually, he found himself in the United States, ready to embark on an entirely new path. While his company has been Diamond Certified for eight years, Steve himself became certifiably acquainted with the precious stone some years earlier, when he worked as a traveling diamond salesman in the early 1980s. “There was a period of time when people were buying diamonds as an investment, so I spent about four years traveling throughout the western United States as a representative for a diamond cutting business,” he remembers. After the diamond craze tapered off, Steve switched to real estate, which is the job he was doing when he first heard of Rayne Plumbing and Sewer Service—the company he would eventually buy in 1986. While it may have seemed an unlikely move, Steve’s transition to owning a plumbing business actually made perfect sense. 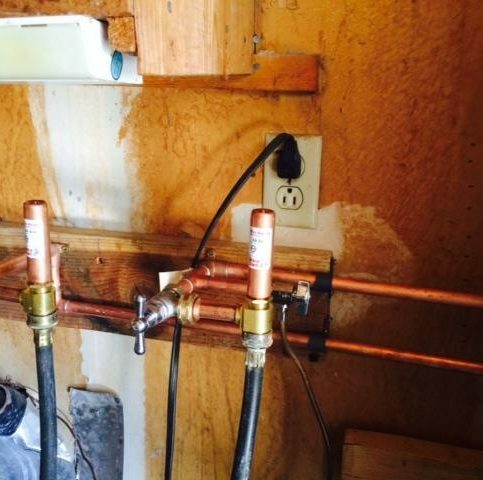 When the previous owner of Rayne Plumbing called him about putting the business up for sale, Steve sensed a golden opportunity. “After talking with him awhile, I thought, ‘You know something? I could run this business,’” he recalls. The owner replied that he actually preferred the idea of a non-plumber owning the company—someone with business acumen and the ability to delegate authority and communicate with customers. After thinking it over for the weekend, Steve called first thing Monday and offered to buy the company. Today, nearly 30 years later, he’s still running it. When not in the office or at a business meeting, Steve spends most of his time relaxing on his boat in the South San Francisco Bay, where he’s been residing for the past decade. “I’ve also been working on a nonfiction story for about six years,” he adds. “I don’t write full-time, so it’s taking a while, but I hope to finish it in the near future.” Steve also likes to keep up with his three sons, who are pursuing their own careers in Los Angeles, Oregon and San Francisco. A: One of my favorite books in recent years is James Michener’s The Source, which is a work of historical fiction. A: I like to sit and listen to the pitter-patter of the rain on my boat while working on my book. Q: Which of the Three Stooges do you identify with most? A: All three! I’ve always liked the Three Stooges—the bald one, Curly, that’s me. Q: What’s the funniest thing a customer has ever said to you? A: That’s impossible to say—I like all kinds of food and enjoy eating out. I typically go on Zagat.com to find the best restaurants. I’ll eat anything, even vegetarian cuisine, but when in doubt, I’ll go with a good steak. Q: Who’s your favorite movie villain? A: Probably the Joker, as played by Heath Ledger. I always thought Jack Nicholson was an excellent Joker, but Heath Ledger took it to a whole other level. SAN JOSE — Hard water is a common problem in the Bay Area—not only does it leave people with a rough feeling when they come out of the shower, it often causes damage to homeowners’ water pipes, water heaters and indoor plumbing fixtures. Fortunately, thanks to recent innovations in the plumbing industry, dealing with this problem has become relatively easy and affordable. Some people deal with hard water by having saltwater filtration systems installed in their homes, but these systems are expensive and require a lot of maintenance, which is why many consumers are benefitting from a new method that’s simple, affordable and environmentally-friendly. It involves attaching a series of ceramic magnets to a home’s water pipes (both the incoming water lines and those connecting to the water heater). The magnets work by actually breaking down the molecular structure of the heavy minerals in the water, which reduces mineral buildup on the insides of the piping and adds longevity to the life of the plumbing system. Ceramic magnet systems are the Greenest water softening systems available on the market today. Not only are they easy to install and virtually maintenance-free, they typically come with a lifetime guarantee as well. Diamond Certified RATINGS ON Rayne Plumbing and Sewer Service, Inc.
Rayne Plumbing and Sewer Service, Inc. : Average 8.5 out of 10 based on 311 unique customer surveys of customer satisfaction. They did the job. They didn't do anything bad that stuck out. They were efficient and reliable. I think that the responsiveness, they got to the job pretty quickly. C. A. L. L. C.
They were great for our business hours, fast and no issues. My experience, they were 100% and very good. I was satisfied and they did what I asked for. Very honest, he's great, I would recommend him to anybody. I can recommend them to anybody and feel confident that Steve and Rayne Plumbing will take care of them. They are great, professional and on time. They don't charge to visit. They only charge for the work they do, no pressure. They are very quick to respond and they do a great job. The prices are really good. Good plumbing company, and they respond quickly. They have a good manager and the office is very helpful. I would definitely recommend them for sure. They're prompt and definitely able to skillfully handle the scope of the work. I can't really think of anything right now.